James Brundell working on VLF antenna. New Zealand scientists returning to Antarctica this summer will mark ten years contributing to two worldwide networks that look at space weather and lightning, and how these natural phenomena impact Earth. Physicist Dr James Brundell, from the University of Otago, says Space weather has very real impacts here on Earth. “We use Antarctica as a vantage point to access information in the near-Earth atmosphere because here, the magnetic field of the Earth is more directly linked to Space” says Dr Brundell. A radio receiver placed near New Zealand’s scientific facility, Scott Base, spends 24/7 listening to very low frequency (VLF) bands of radio and sends that information back to the University of Otago. While commercial AM radio stations broadcast at around 1000 kHz, VLF works in the 3-30 kHz range and can capture solar activity and lightning strikes. One source of radio waves Dr Brundell and his colleagues use is the radio transmitters used by the world’s military. Although they can’t interpret their messages, they can use the radio source to monitor the upper atmosphere. “We piggyback on military radio signals to monitor how Space weather, generated by the sun, impacts our atmosphere and the technologies we use every day. 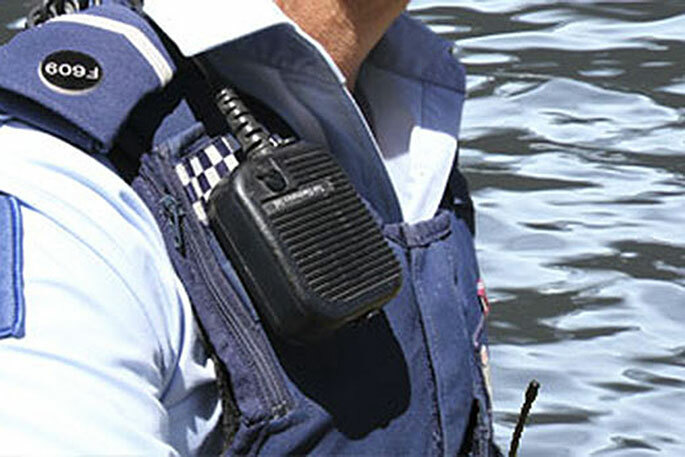 Satellites, GPS and power networks and mobile phones can all be affected. Our monitoring gives us a better understanding of the volatility of near-Earth Space and how we could lessen the impact of Space weather events” says Dr Brundell. They also use the radio receiver at Scott Base to capture the ‘crackle’ of lightning. Lightning generates signals at VLF that travel right around the world. While lightning strikes are rare in Antarctica, around the world there are many lightning strikes per second that can be heard in Antarctica. “Being part of the lightning network allows us all to form a bigger picture of how lightning behaves. Our data has helped to discover that lightning in ash clouds can signal a volcanic eruption. This has positive implications for communities and airlines as an early warning system” says Dr Brundell. Antarctica New Zealand Acting Chief Scientific Advisor, Dr Fiona Shanhun, says the University’s contribution is essential. “The University of Otago’s work in Antarctica fills a significant gap in two important international networks. Without their work in the Ross Sea region, it would be more challenging to triangulate lightning signals or to monitor solar activity” says Dr Shanhun. 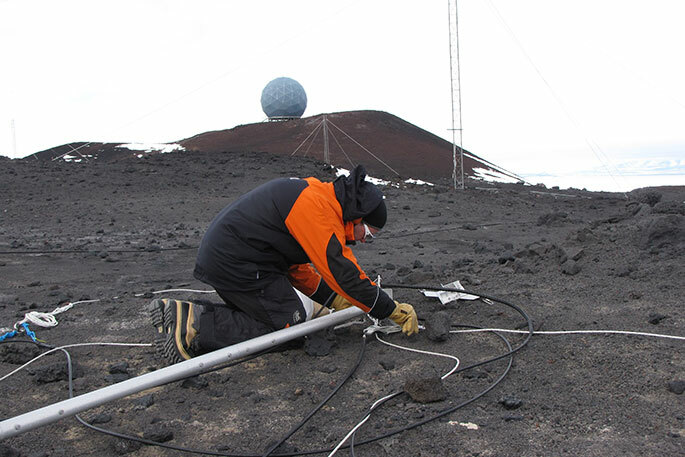 Dr Brundell and his University of Otago colleagues are part of the World Wide Lightning Location Network (WWLLN) and Antarctic-Arctic Radiation-belt (Dynamic) Deposition – VLF Atmospheric Research Konsortium (AARDDVARK). This Antarctic season, Dr Brundell and his colleague Myles Thayer will service the equipment and download files that are too large to send via the internet, before sharing this with their international colleagues.